I’m almost ready to start work on the Wood Elves for our Tale of Four Gamers projects, so I thought I’d give you a sneak peek of where the army stands to begin with! All I’ve done so far is stripped all the old metal miniatures which I’ve been gathering for the past few months and cleaned and assembled them (with a hell of a lot of pinning work…) on Sarissa Precision bases. I decided to go for the Sarissa bases as I love the laser cut mdf style with the flat edges, and when all the models have sanded bases it means there is almost no visible transition between them which looks great in a unit. Throughout the Tale of Four Gamers blogs we’ll each be building up our armies in legal chunks so that we can start playing games with them, and of course the first milestone will be 500pts. Check out the latest podcast to hear more about our deadlines and plans for this month. I’ll slowly be taking one unit at a time out of the cabinet, doing any extra conversion work or greenstuffing needed, and painting the unit before settling it back in its rightful place with the army. There’s still a fair few models I need to try and buy too, particularly more metal Dryads, Warhawk Riders and old Glade Guard spearmen. I’ll be documenting all the progress unit by unit on the blog from this point onwards! 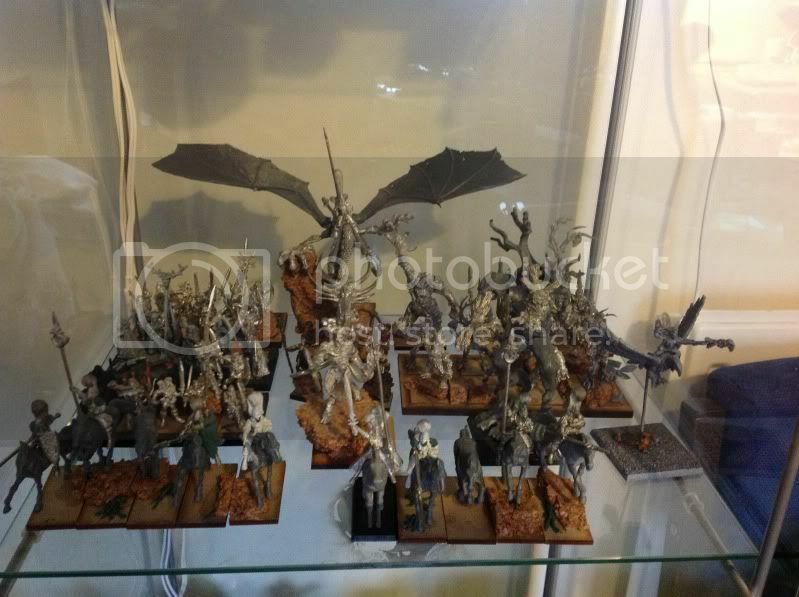 This entry was posted in Army Blogs, The Wild Hunt- Jon's Wood Elves, Warhammer Fantasy, Wood Elves and tagged conversion, fantasy, tale of four gamers, tale of four geeks, Tournament, warhammer, warhammer fantasy, warhammer painting, warhammer podcast, whfb, wood elves, wood elves army. Bookmark the permalink.